A raise for the raised? Haaretz, 24.05.11. 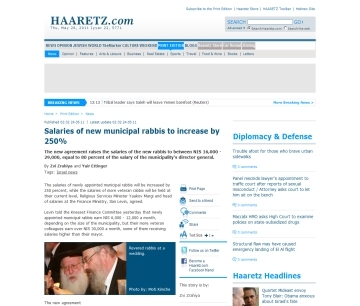 A new agreement raises the salaries of the new rabbis to between NIS 16,000 - 29,000. 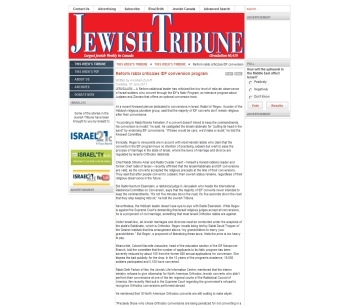 Shahar Ilan: "The municipal rabbis positions existed mainly for political appointments... Instead of giving them grand salaries we should cancel the position altogether." Ha'aretz, 18.05.2011. 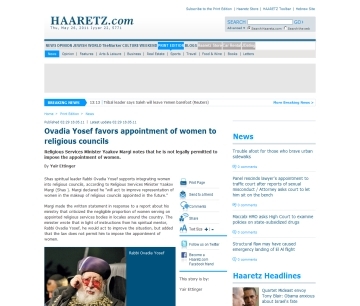 Even Ovadia Yosef supports the appointment of women to religious councils. Rabbi Regev: "The legal obligation to appoint women to public positions must be implemented de facto and not just as a fig leaf." 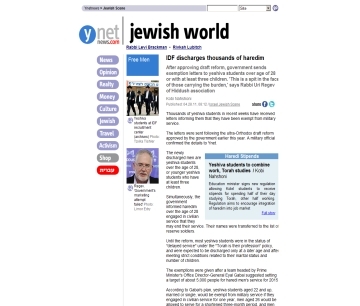 "The government has launched a mass campaign granting an exemption to yeshiva students"